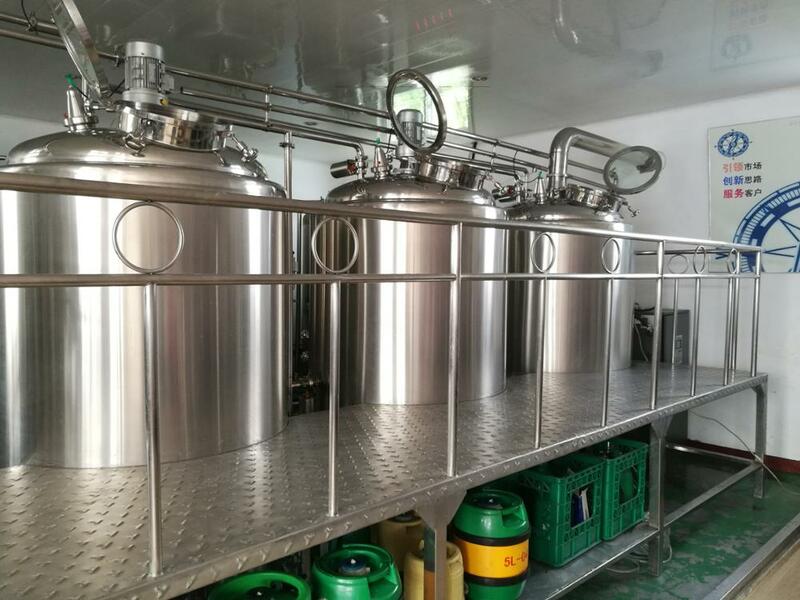 CE certificate durable new 2000l commercial brewery with racking arm, it port on the cone with butterfly value, and it can get the beer from different place in the fermentation tanks. 1. Inner-jacket is 3.0MM, external-jacket is 2.0MM. 6. With manway, material is SS304, circular manhole thickness 2.0mm, diameter 400mm, normal pressure manhole design. 8. Thermometer: the iron shell metal thermometer, temperature of the tank used for observation, accuracy of plus or minus 0.1 degrees. 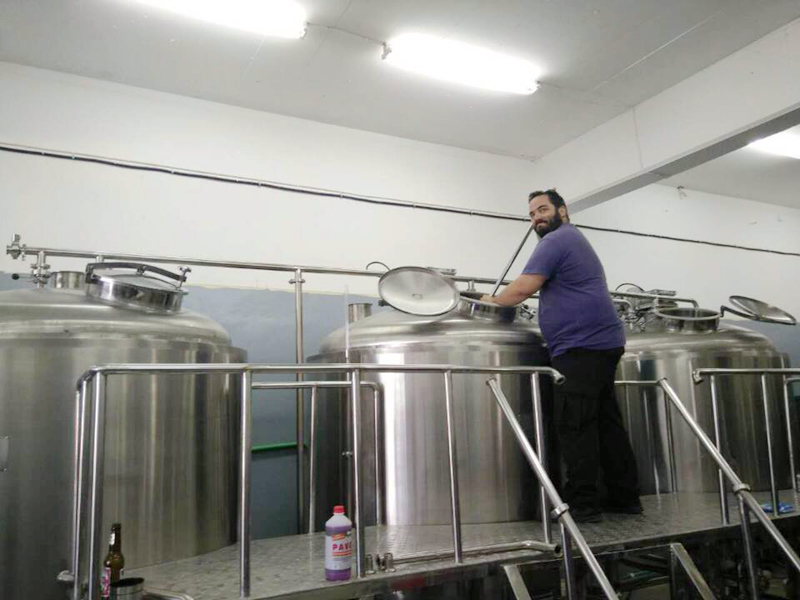 Mash system is the most important part in the whole beer brewery. The configuration is according to client's needs. Foot bolt: Adjust the height of the equipment, easy to install. 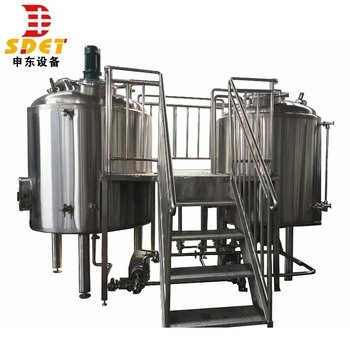 The Fermentation tanks number is according to the beer brewing daily output. Flow protection,Phase sequence/phase protection, Exhaust overheating protection. 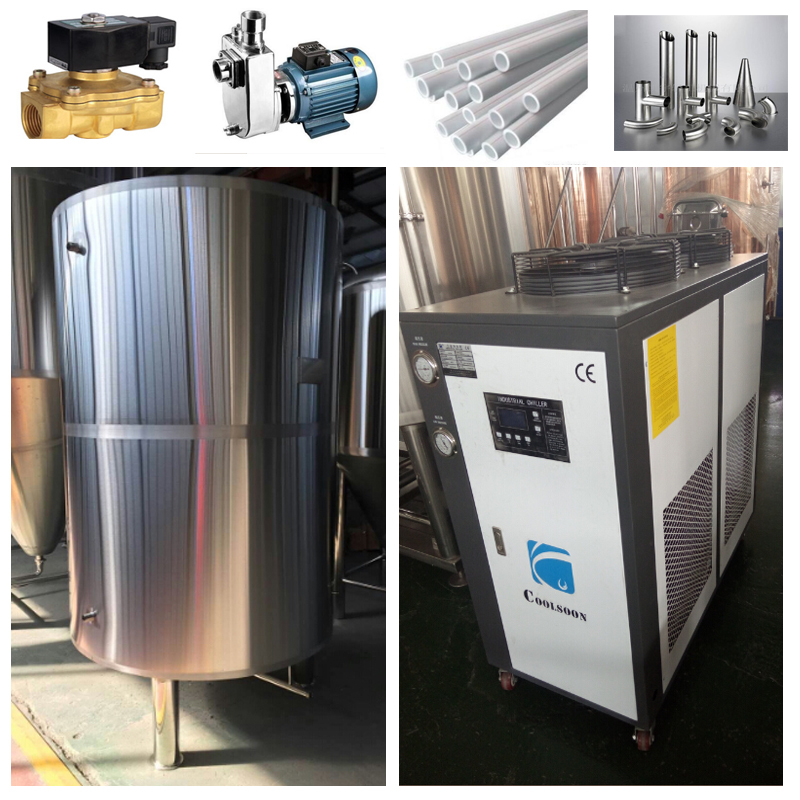 This high qulaity chiller will make sure the cooling system in the commercial brewery works very well, durable, high efficiency. 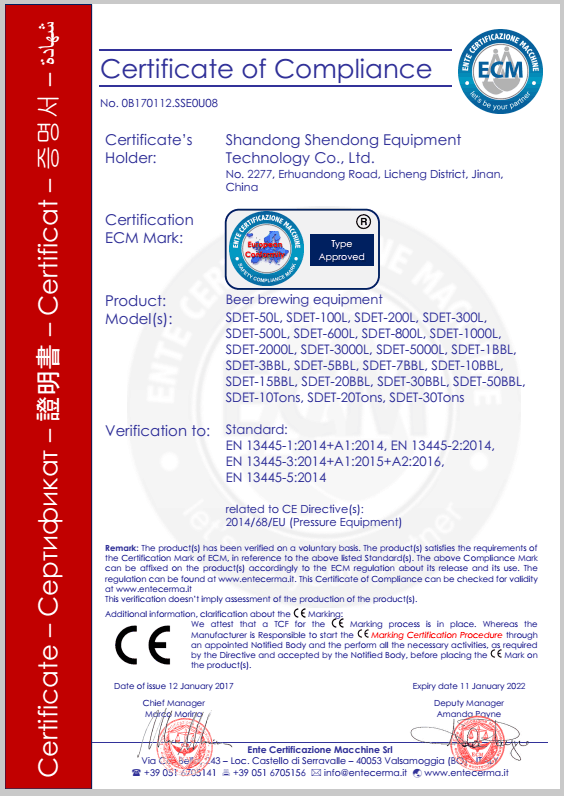 Shandong Shendong Equipment Technology Co., Ltd. is one professional beer brewing equipment manufacturer in China. 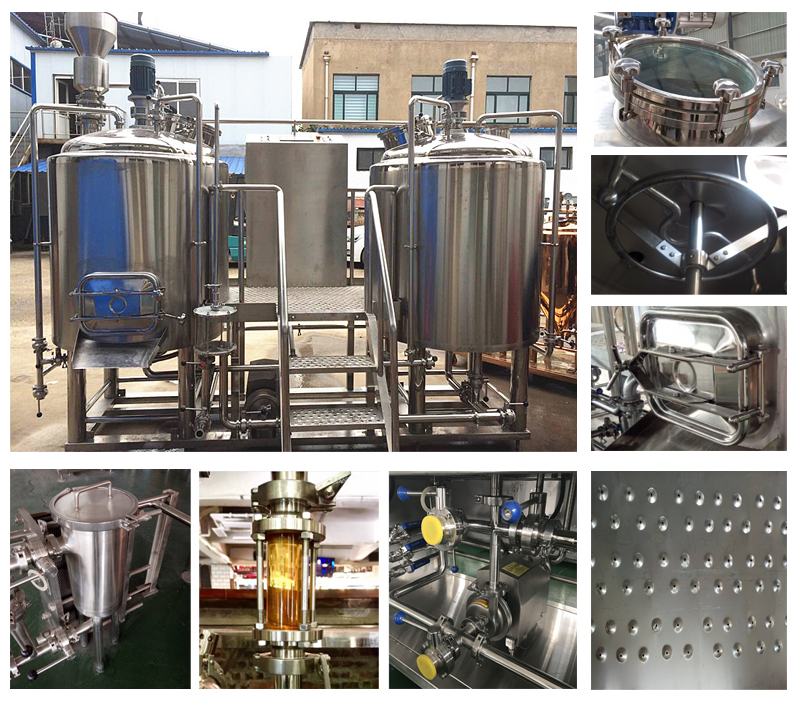 We specialize in personally manufacturing small, medium and big sized brewery plants. 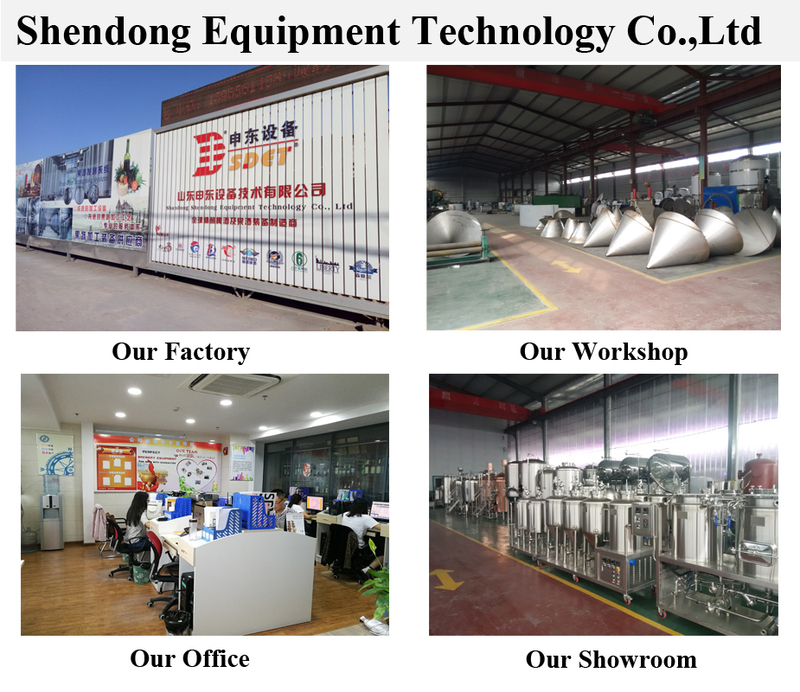 We also manufacture all types and sizes of fermenting and storage tanks. 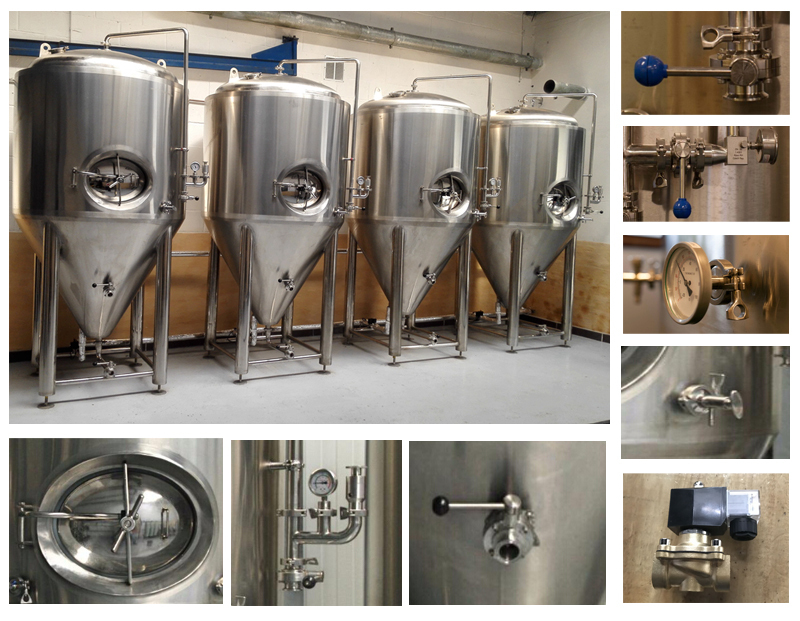 Our breweries can be designed according to the specific wishes of our customers. We also can offer you a wide variety of technical solutions. 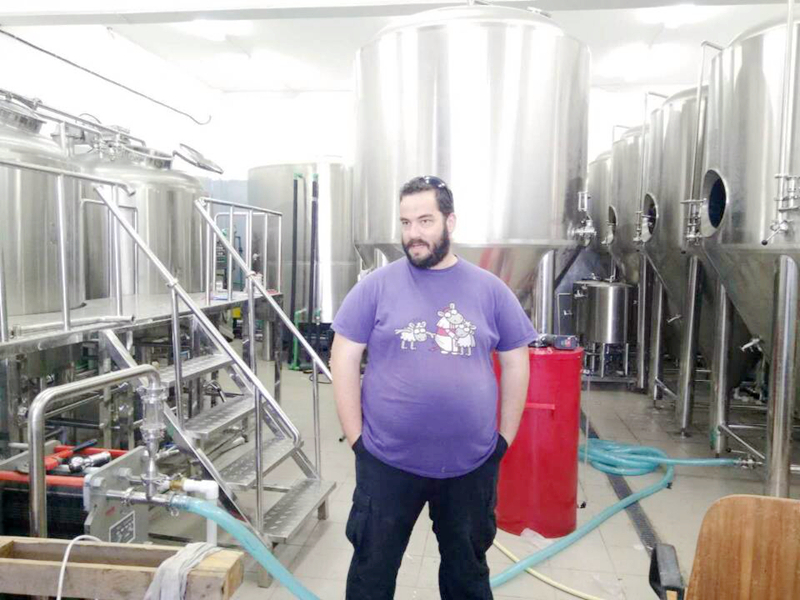 We can provide beer to make by fermentation of the equipments of having, can train to make wine teacher. 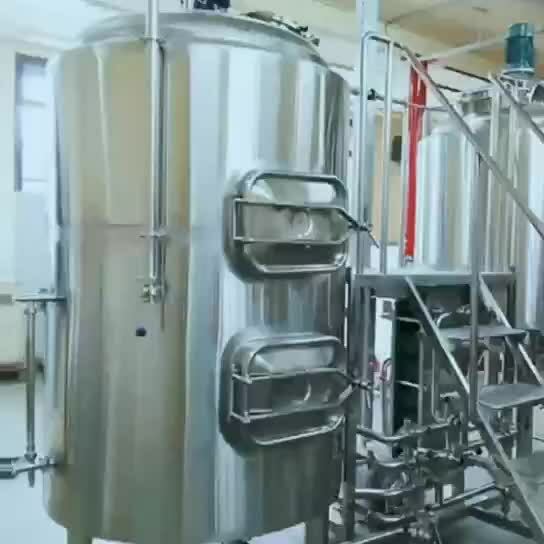 This set 2000l commercial brewery is make for a Europe client. 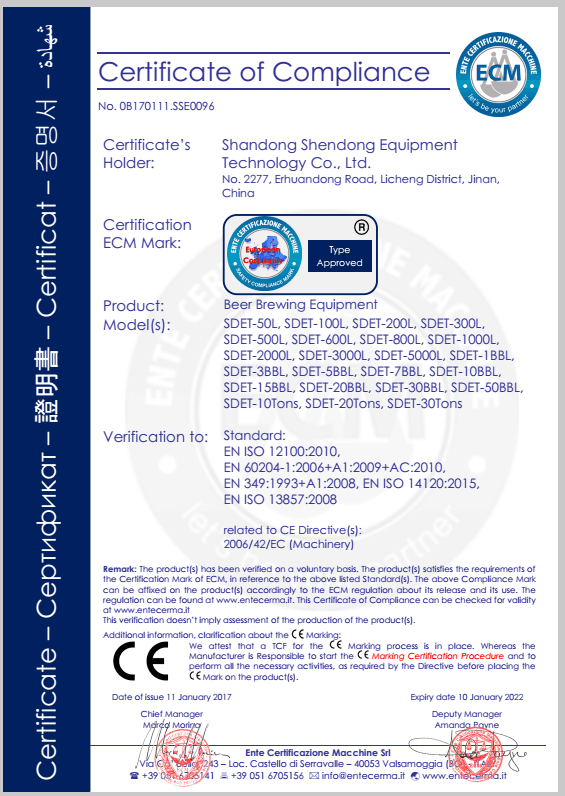 Because you will buy commercial brewery equipment from our country, you will take something into consideration, you may think that whether our company have some certificate to ensure the quality and safety. 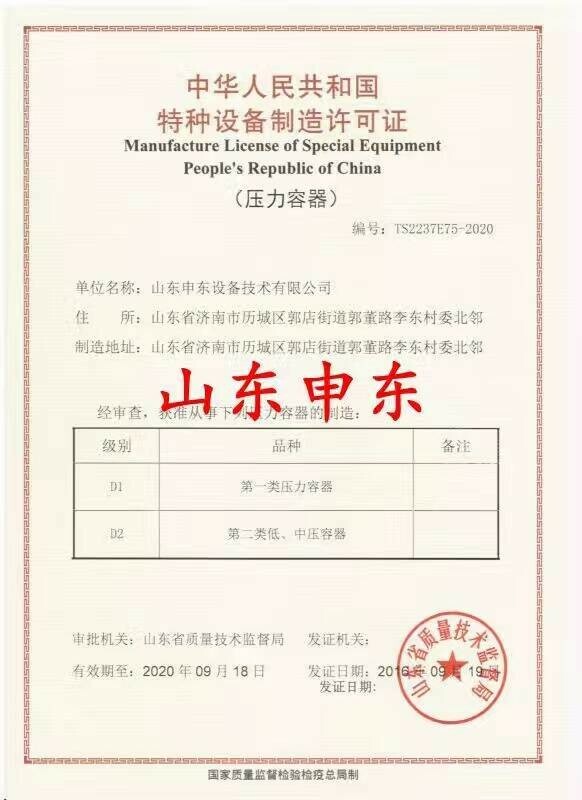 Don’t worry, we have passed CE Certificate, ISO Certificate, PED Certificate, and other pressure certificate, now, share our certificate for your reference. 1. 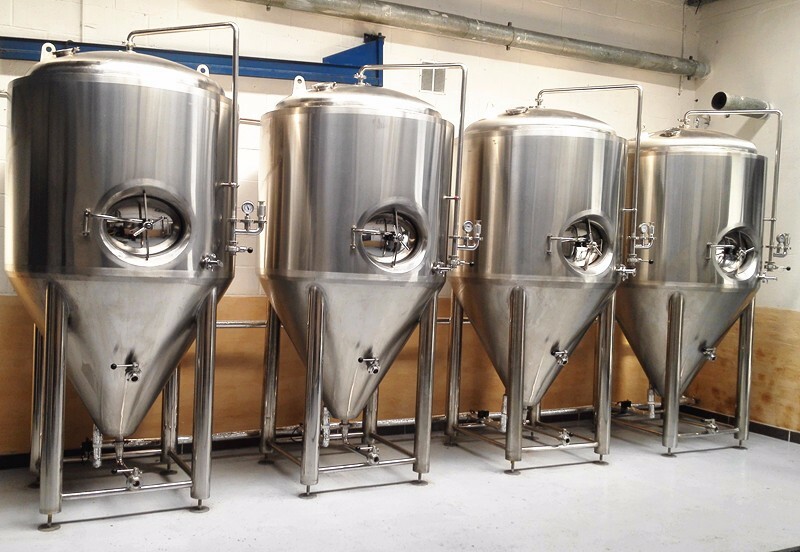 What certificate do you have for commercial brewing equipment? 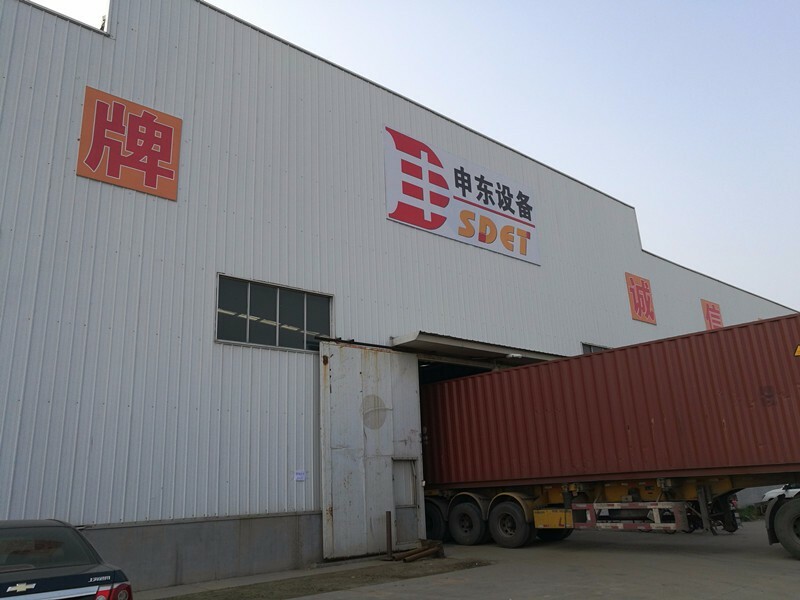 We have ISO9001, CE and PED certificate and other certificate can be made based on client’s requirement. 2. 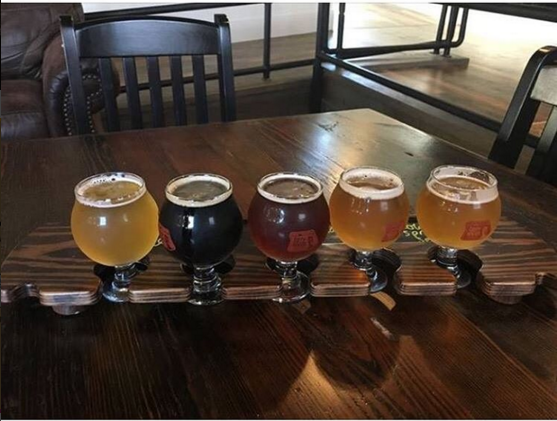 What is the welding and polishing quality for the brewery?